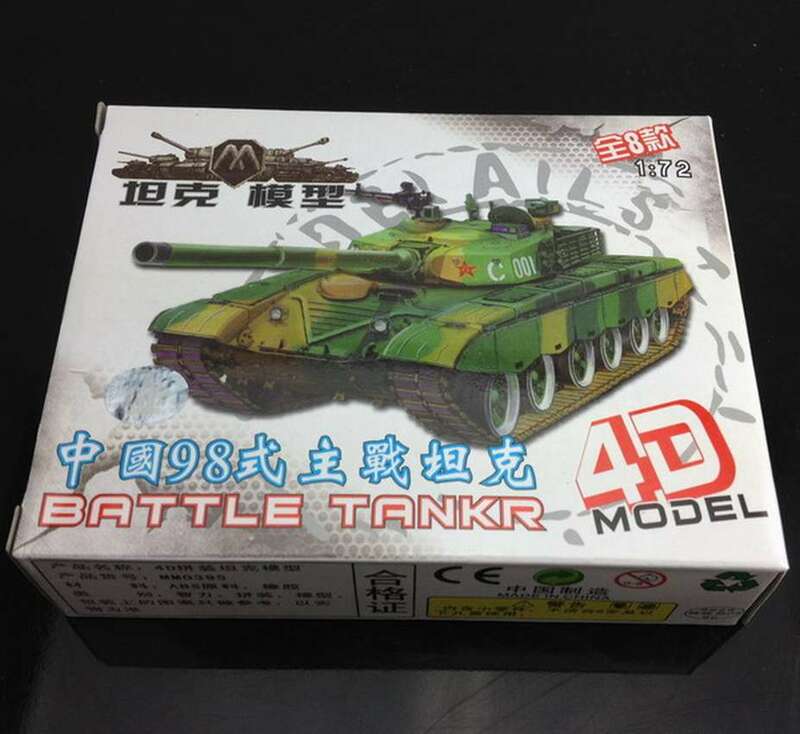 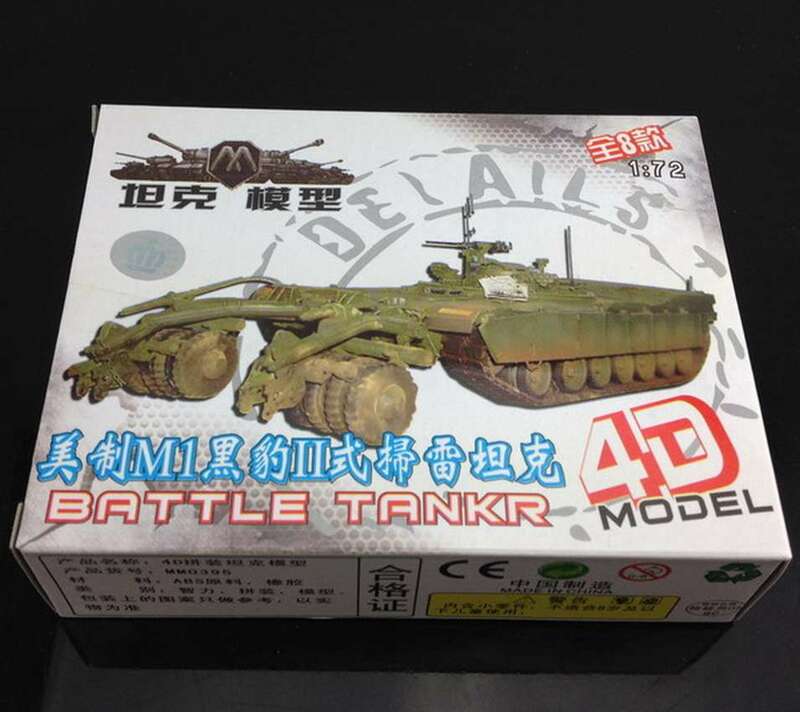 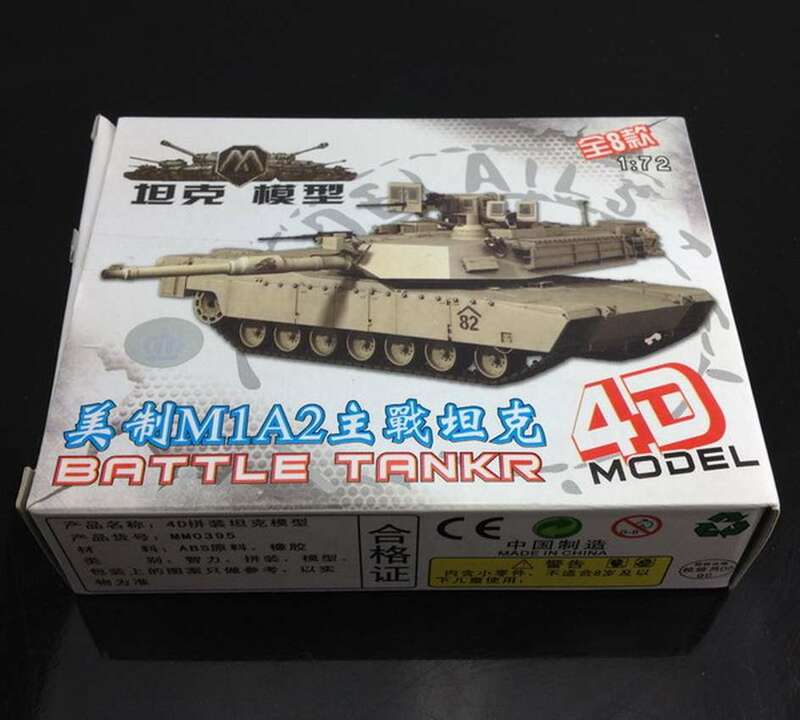 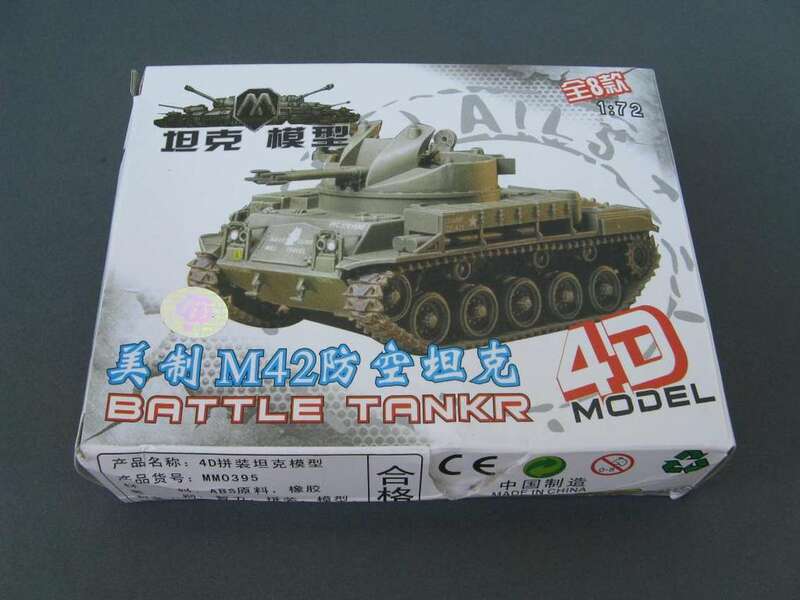 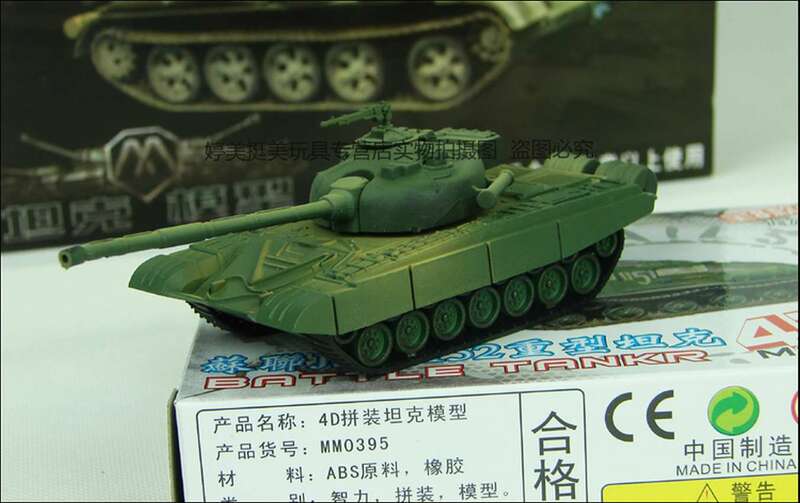 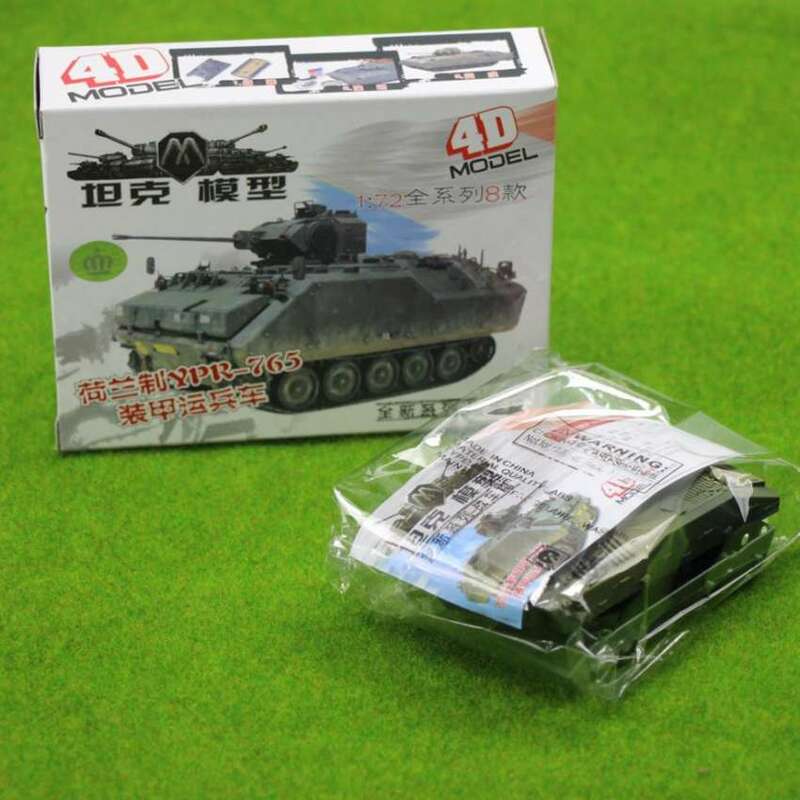 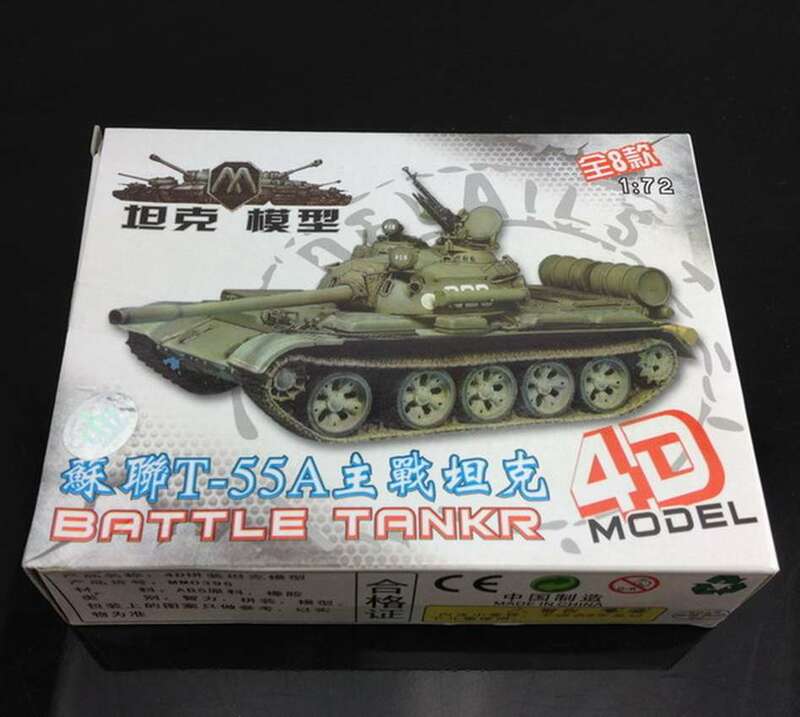 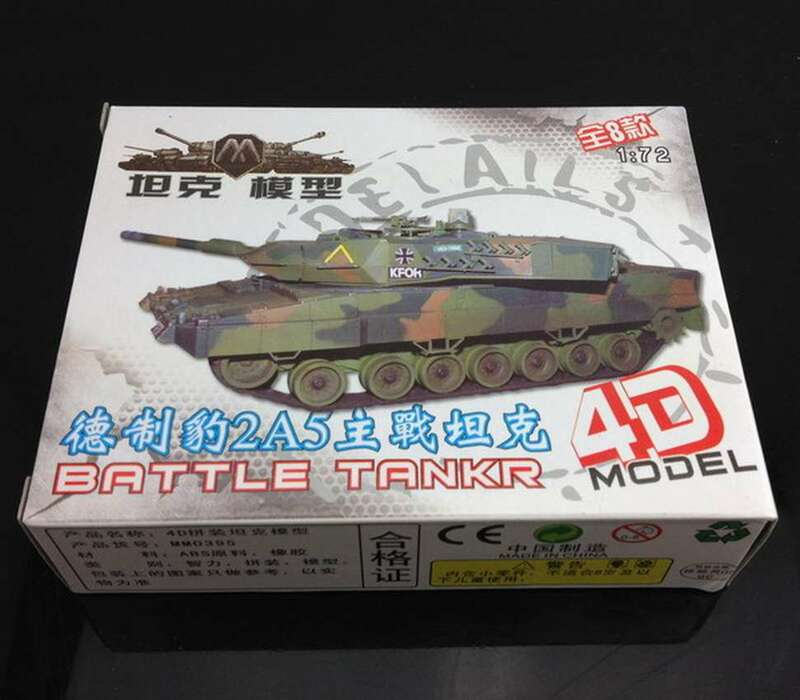 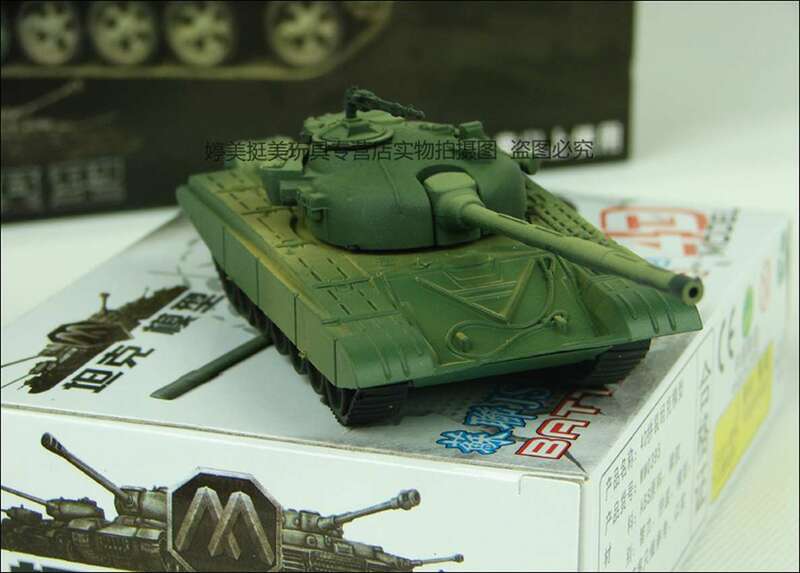 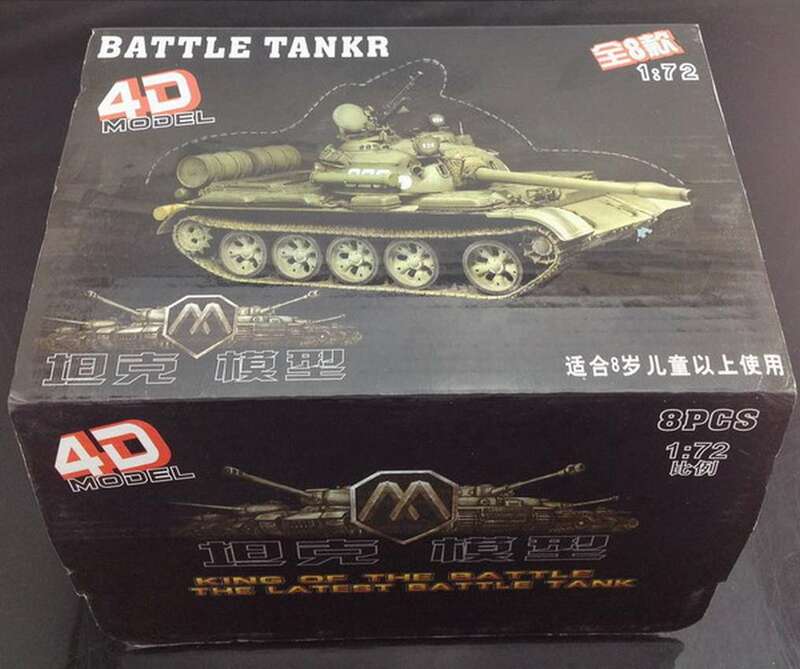 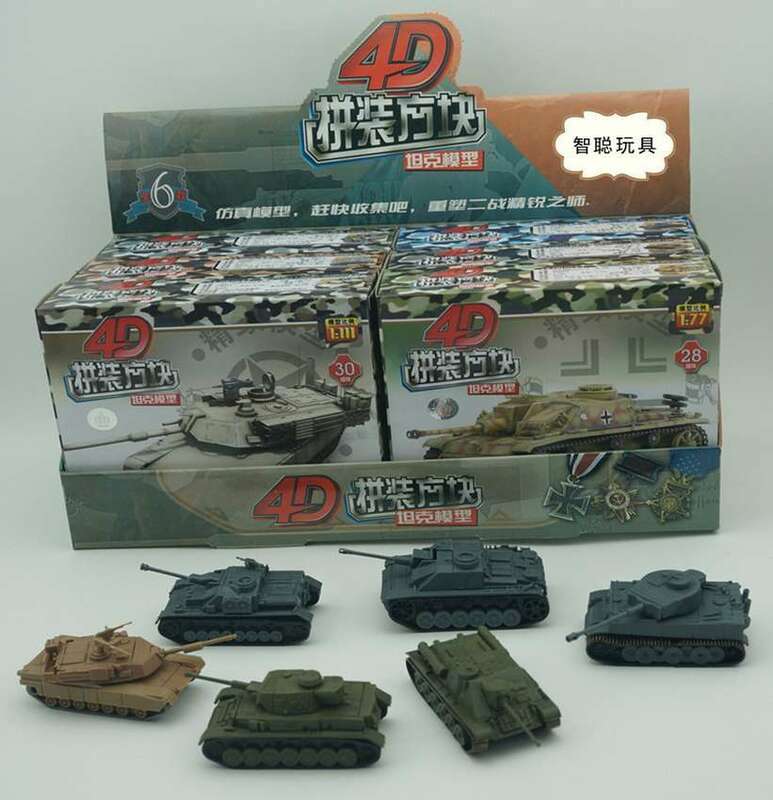 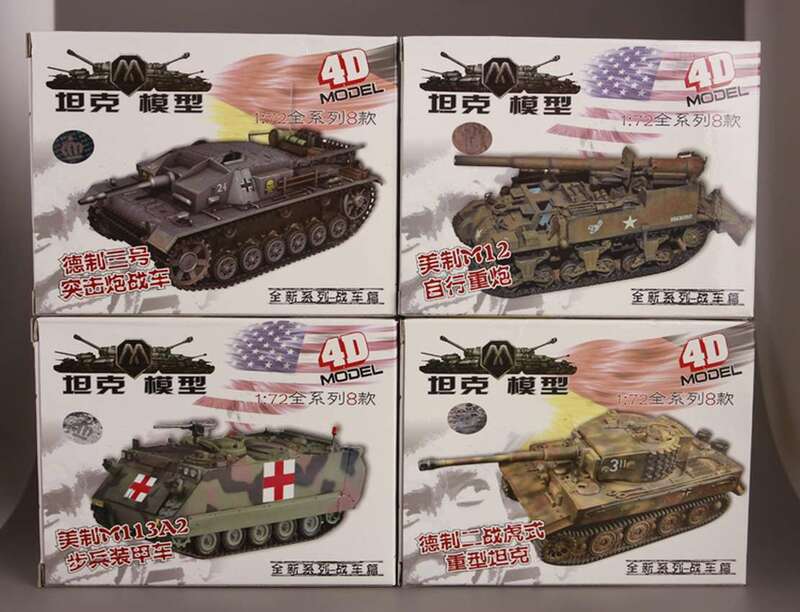 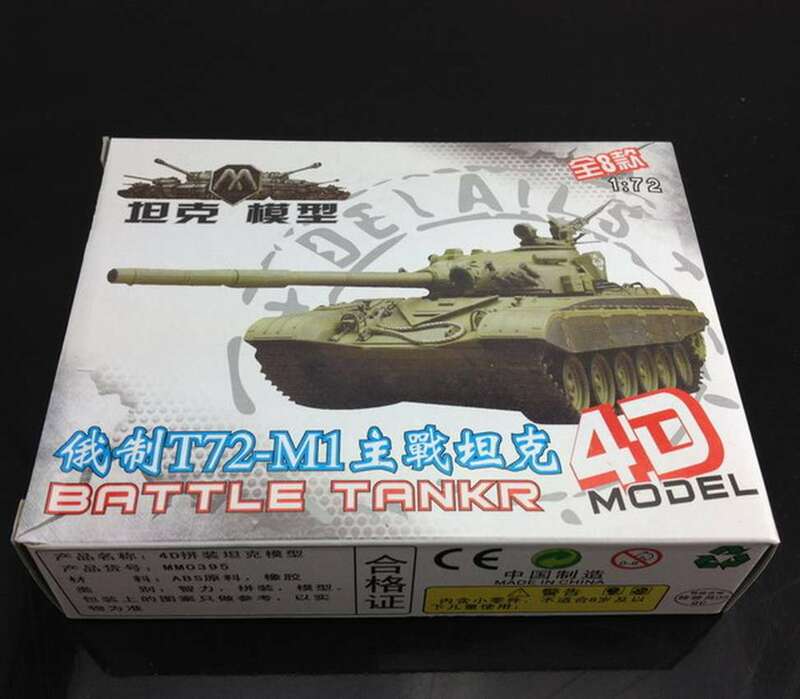 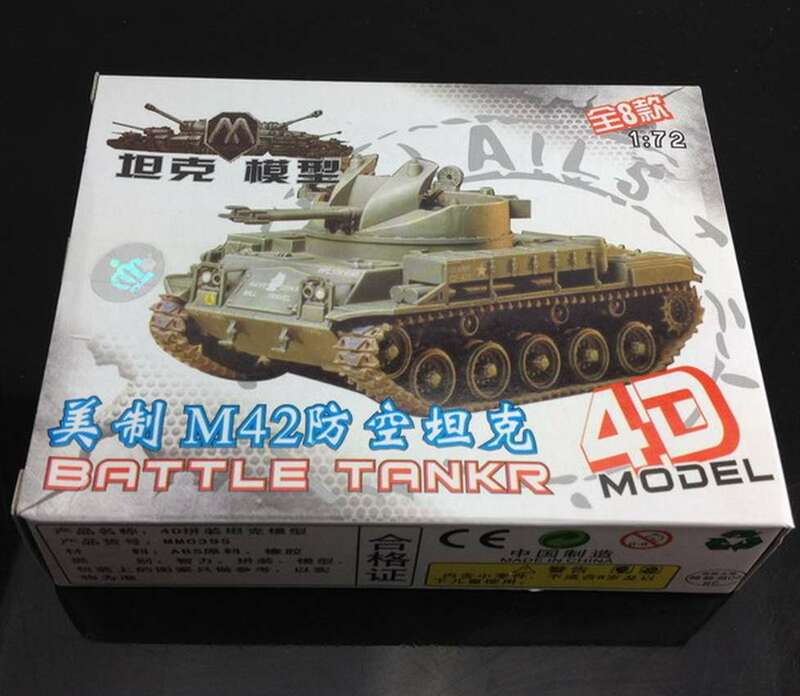 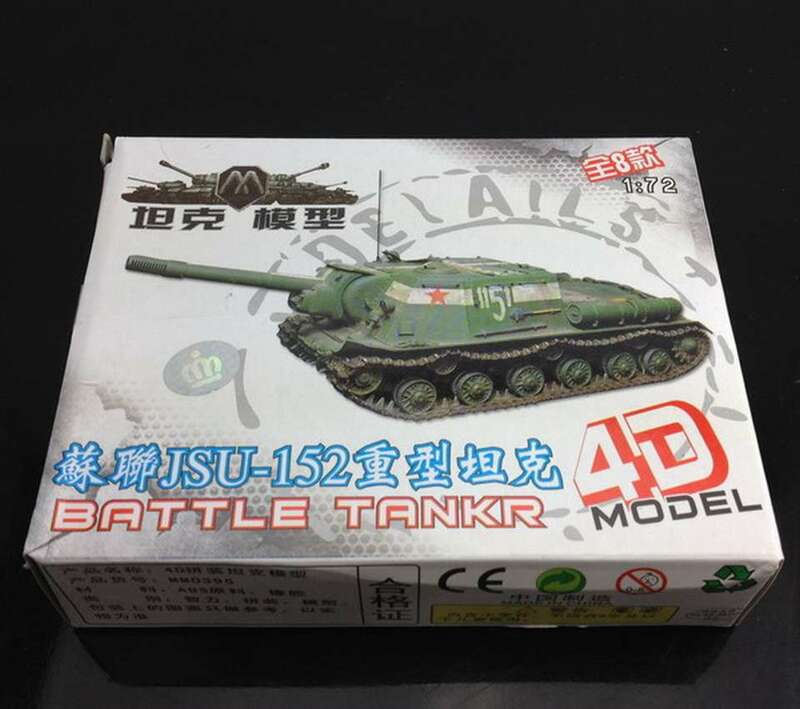 4D-Models is a manufacturer from China. 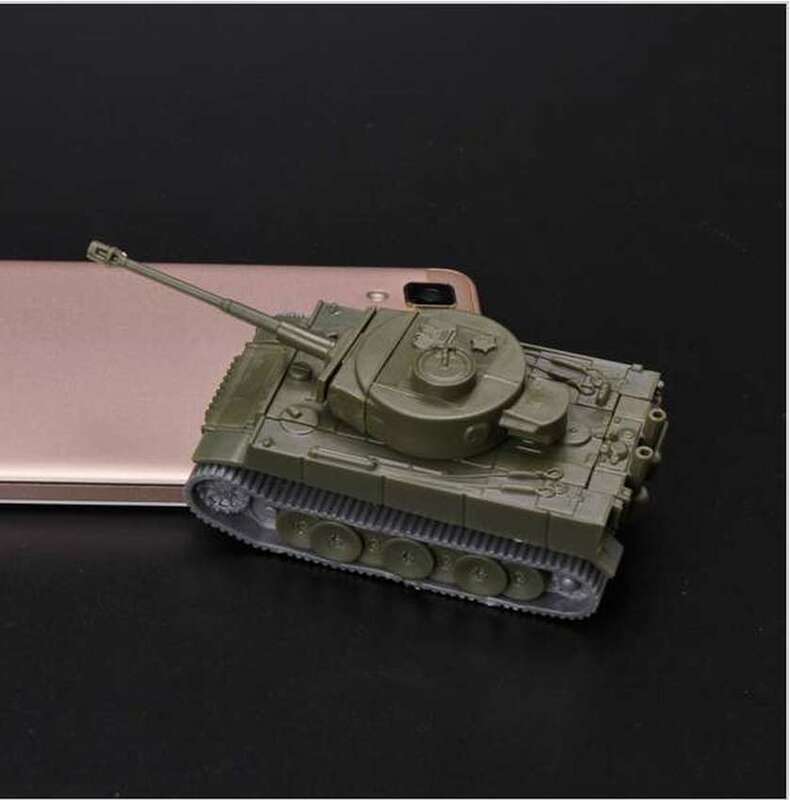 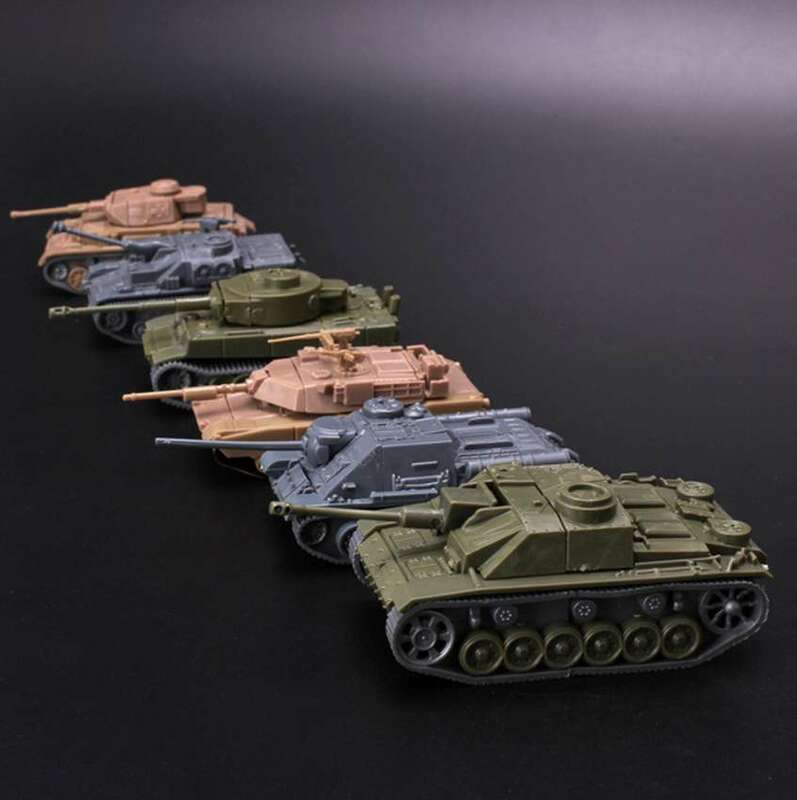 They released a line from military vehicles, airplanes, civil cars and ships. 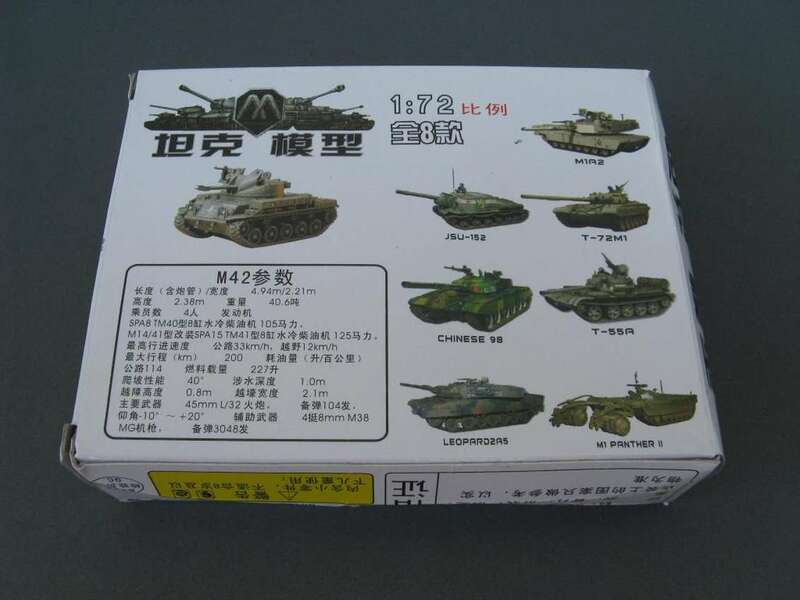 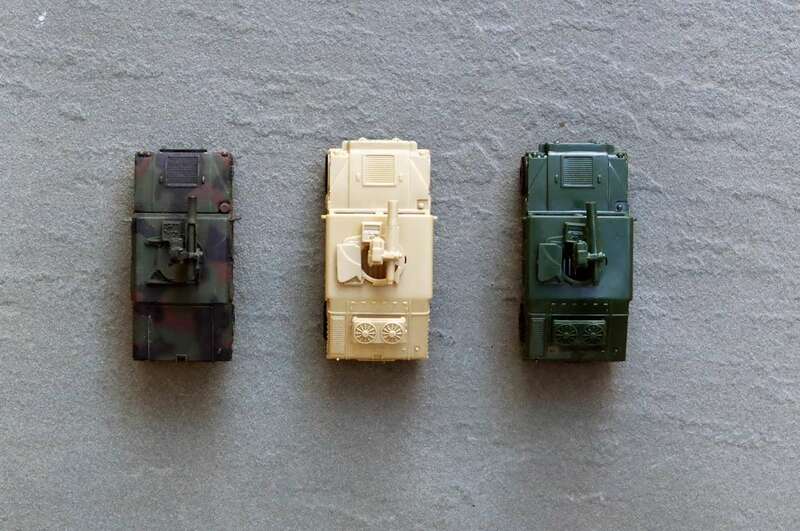 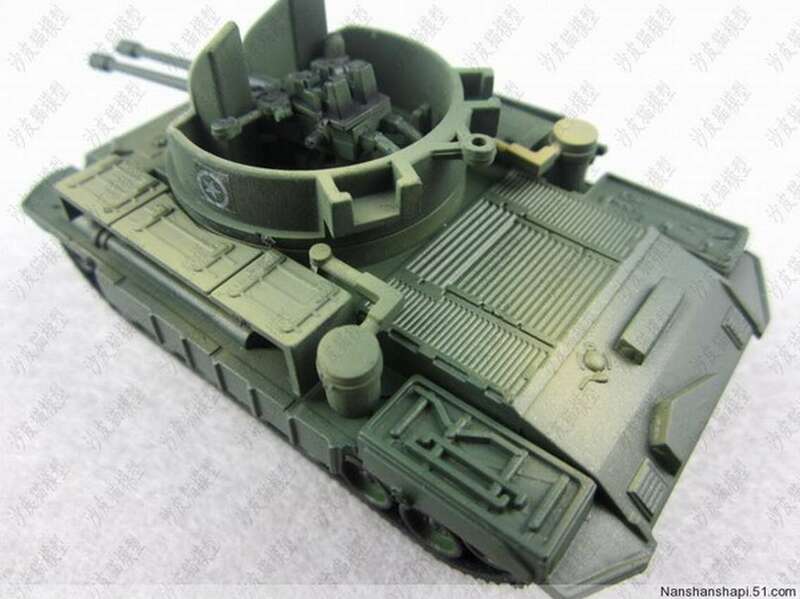 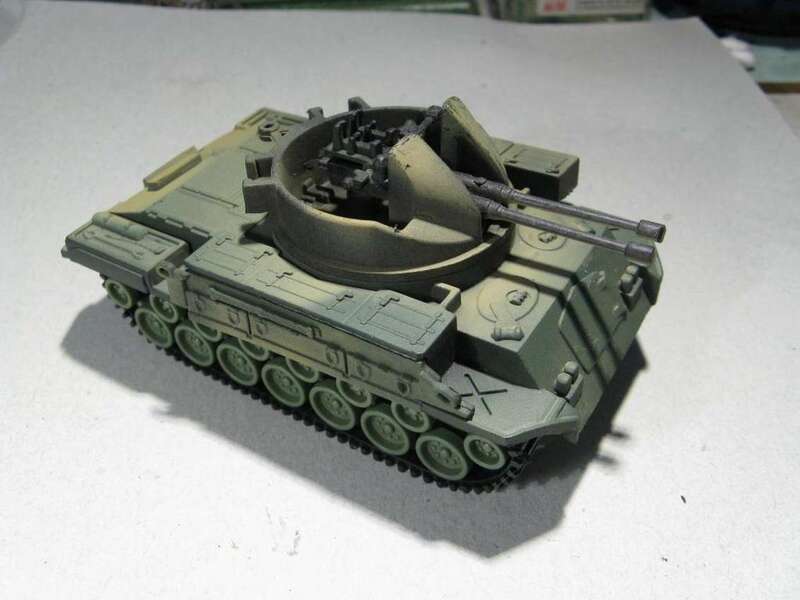 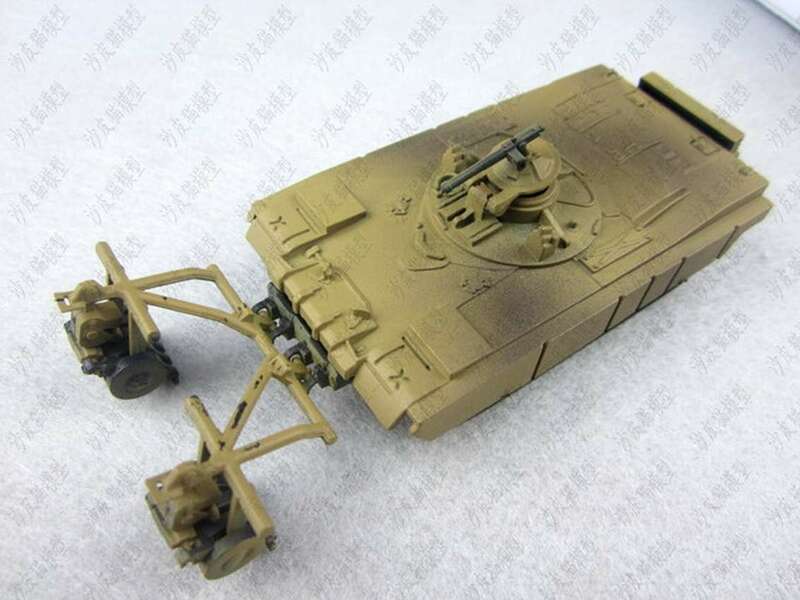 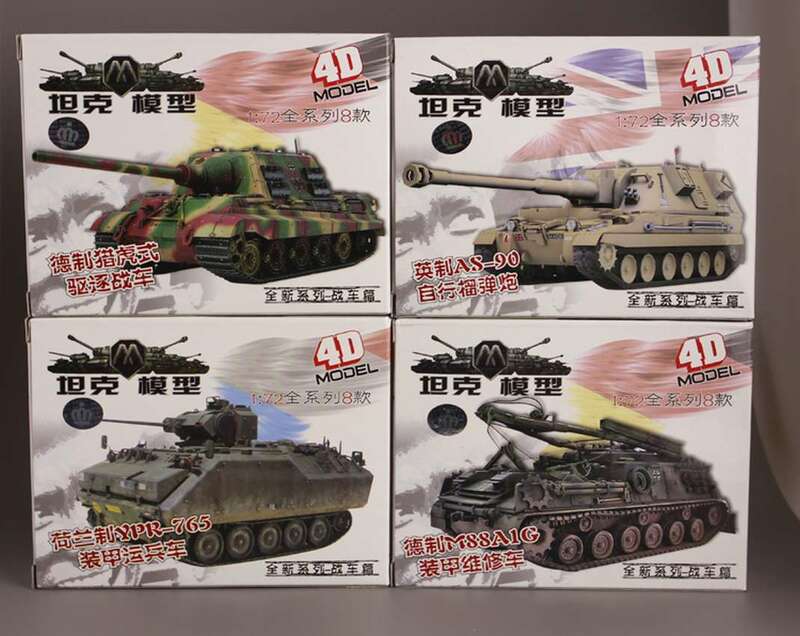 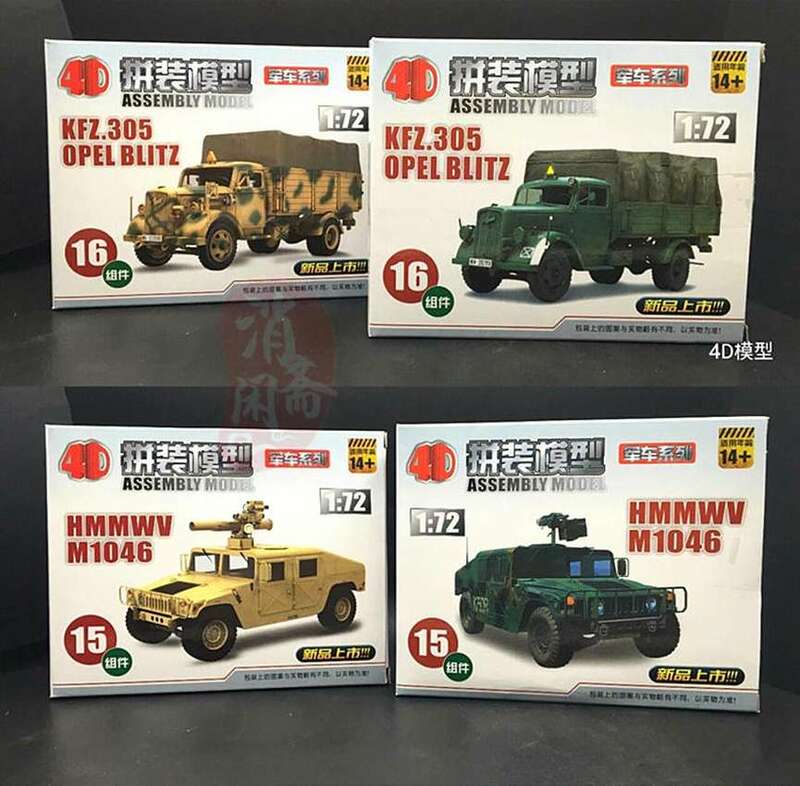 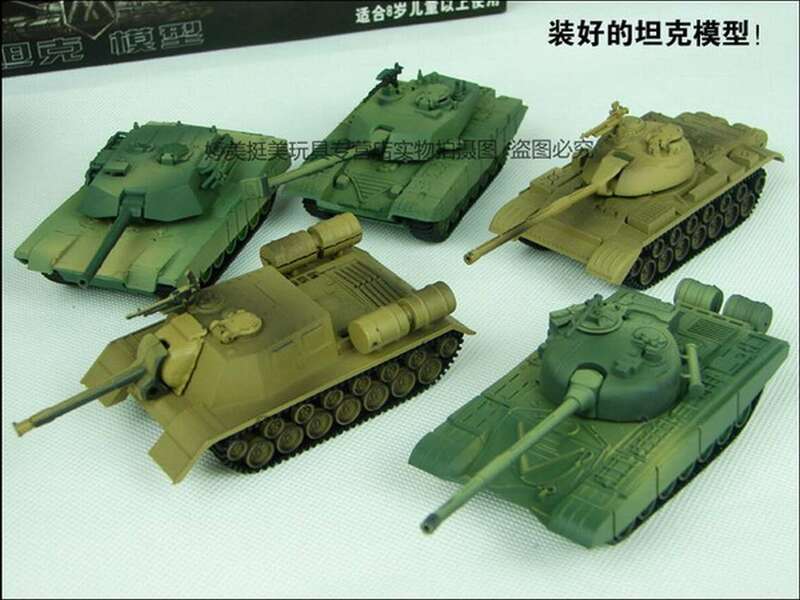 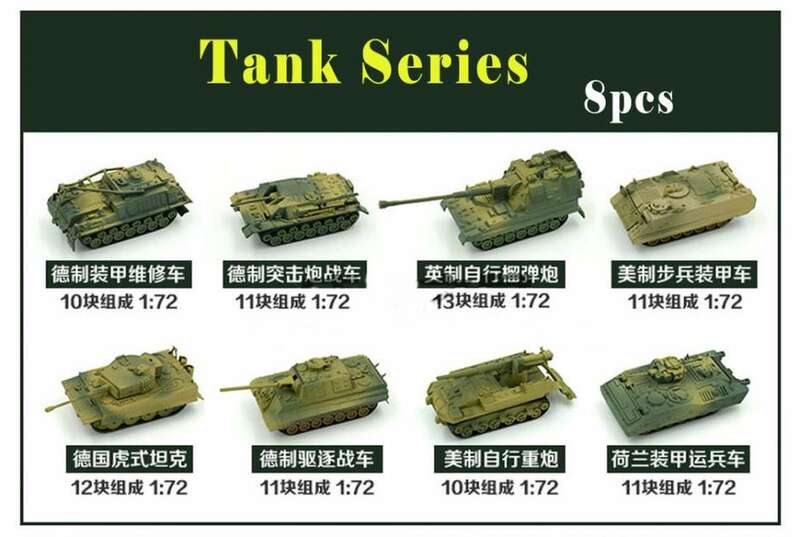 - The military vehicles are announced as models in the 1/72 scale. 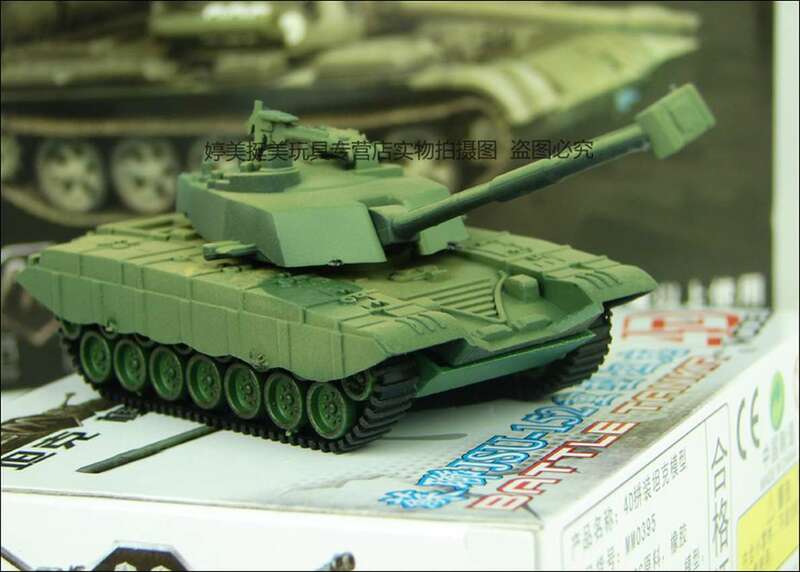 - The early releases are very poor and simplefied, the later released models a little better. 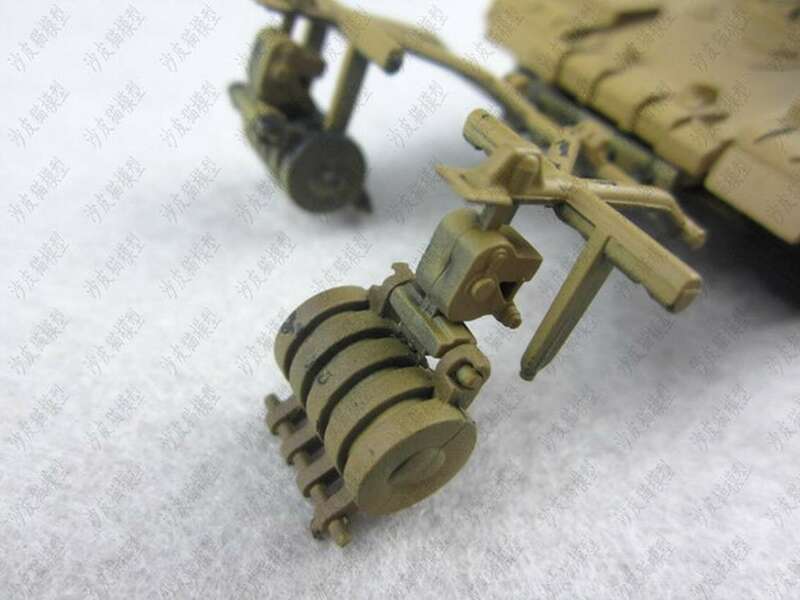 - A lot of the vehicles has the same trackunits and vinyl tracks. 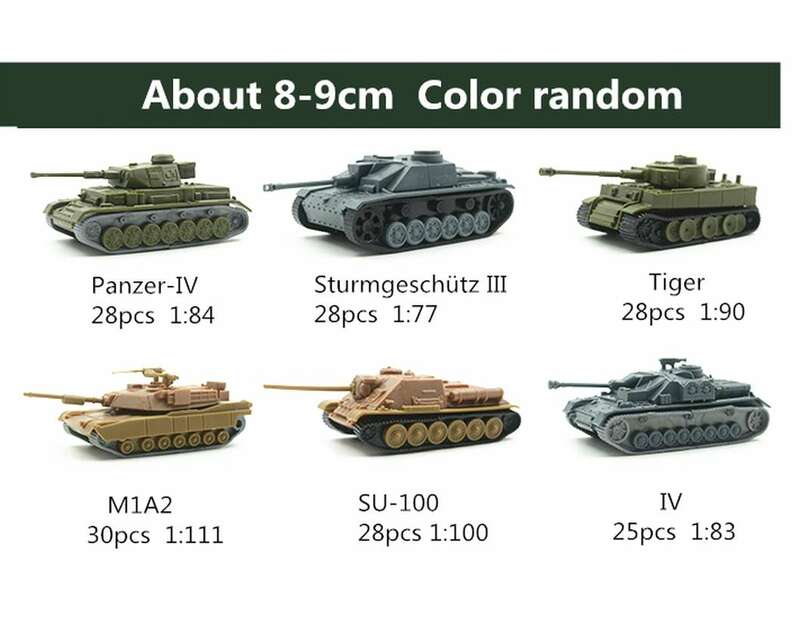 - Some late releases has simplified more correct looking trackunits - as Sherman related, T-34 related, Pz.III, Pz. 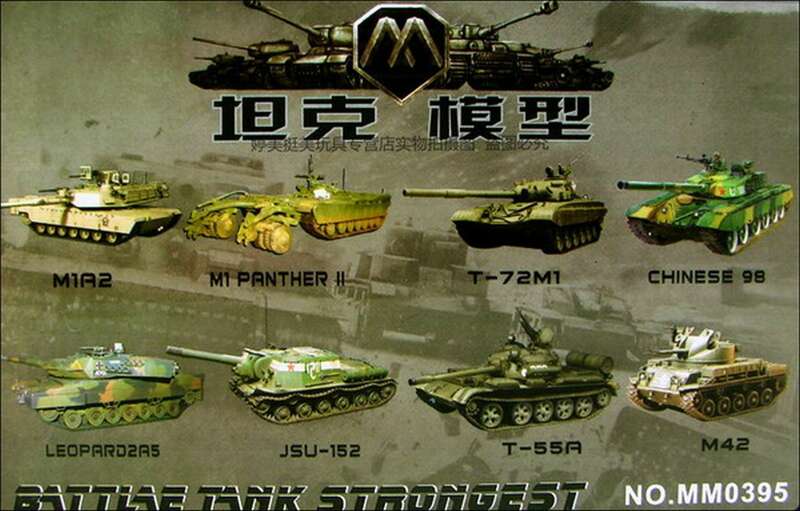 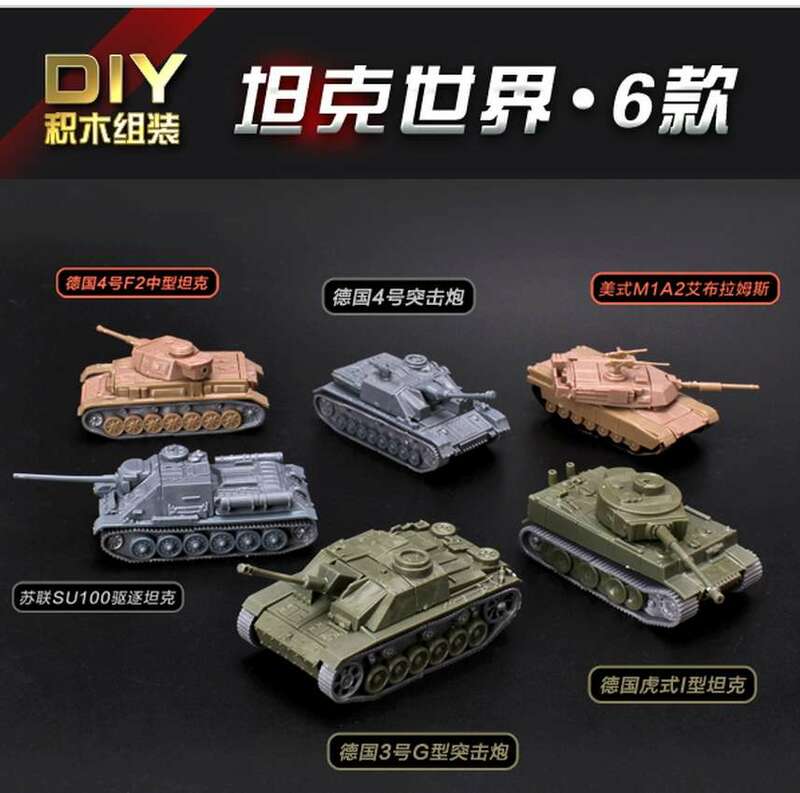 IV, Tiger I, etc. 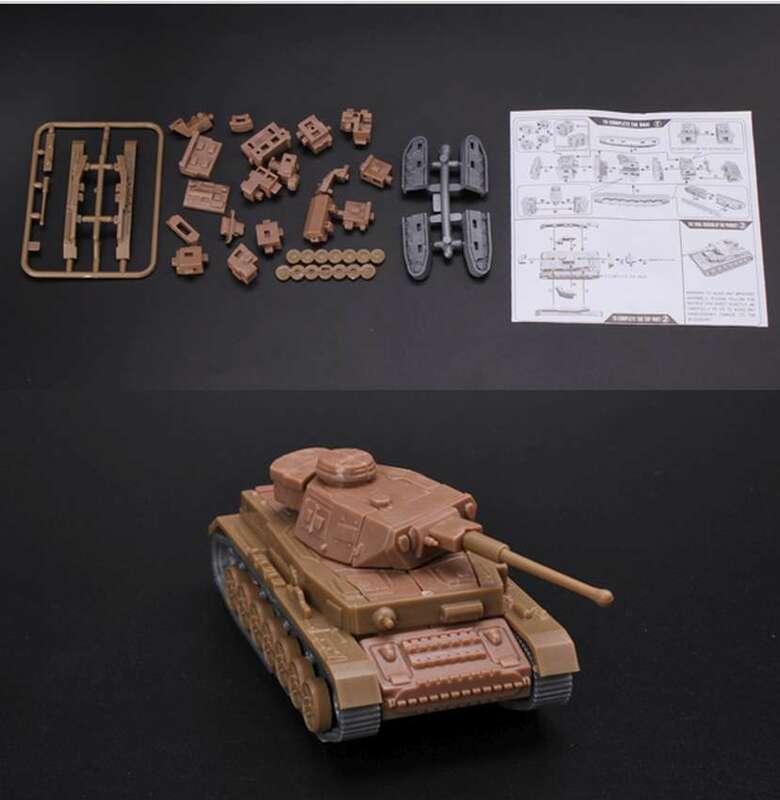 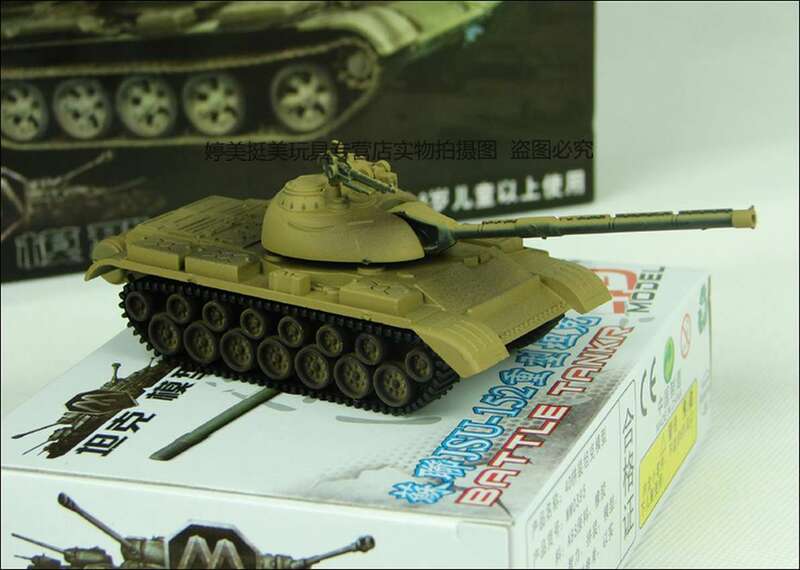 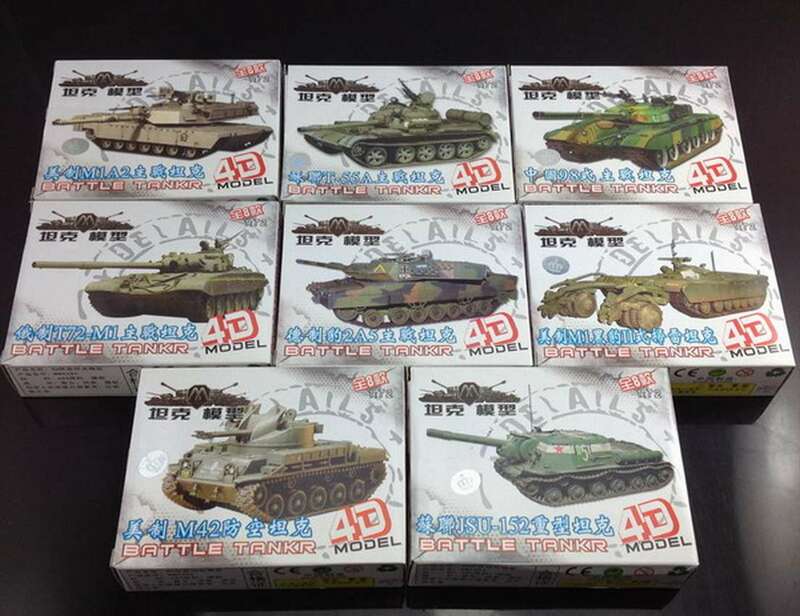 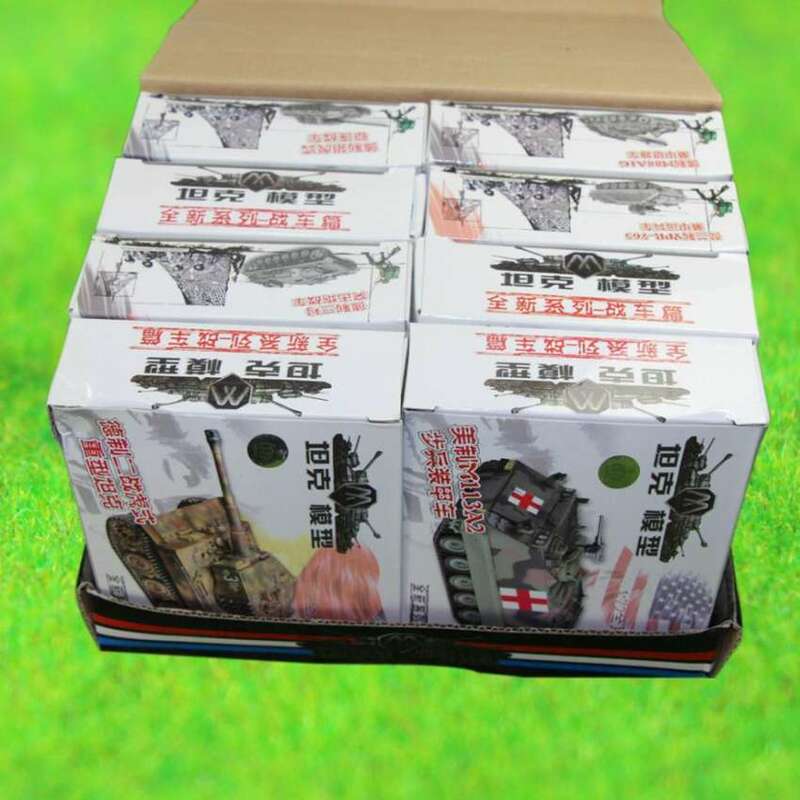 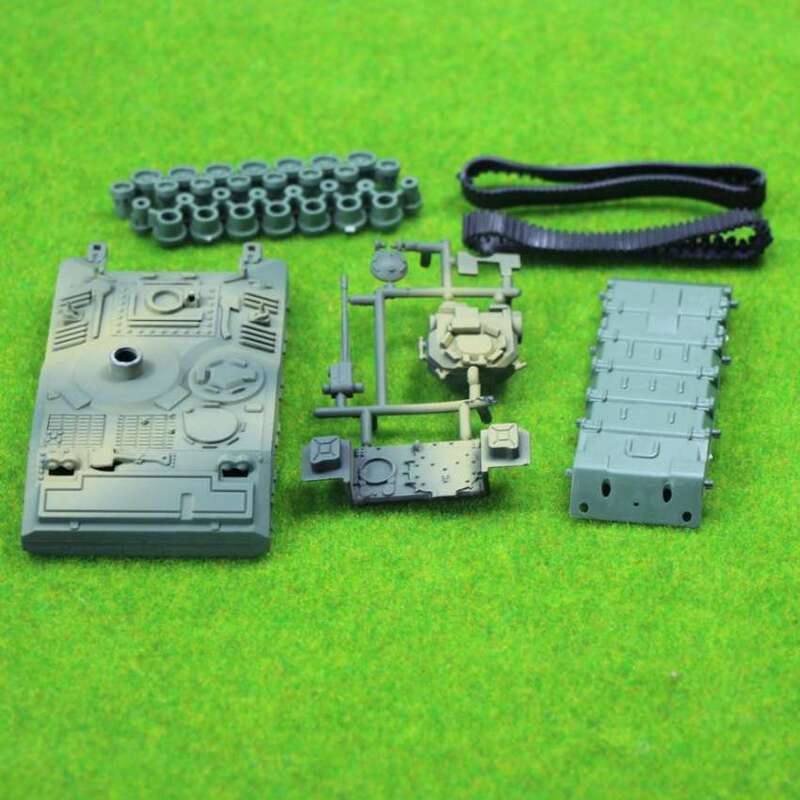 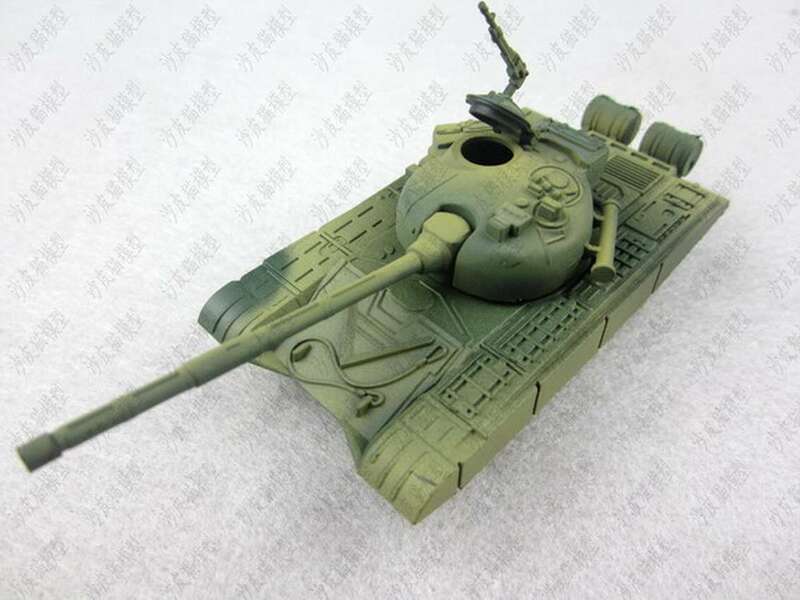 - The kits are only playtools for young kids and possible usable for wargaming. 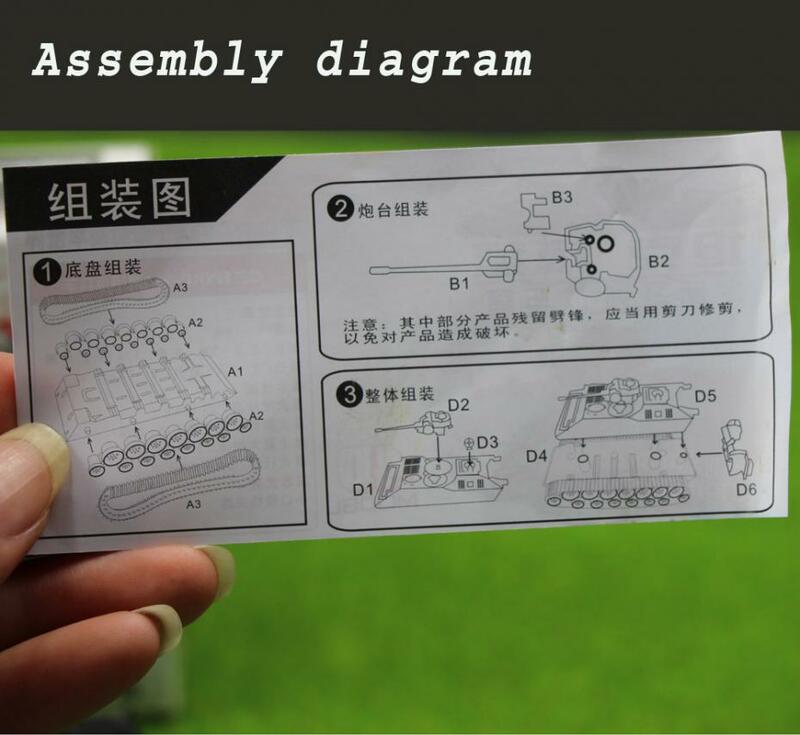 Conclusion: Warning!! 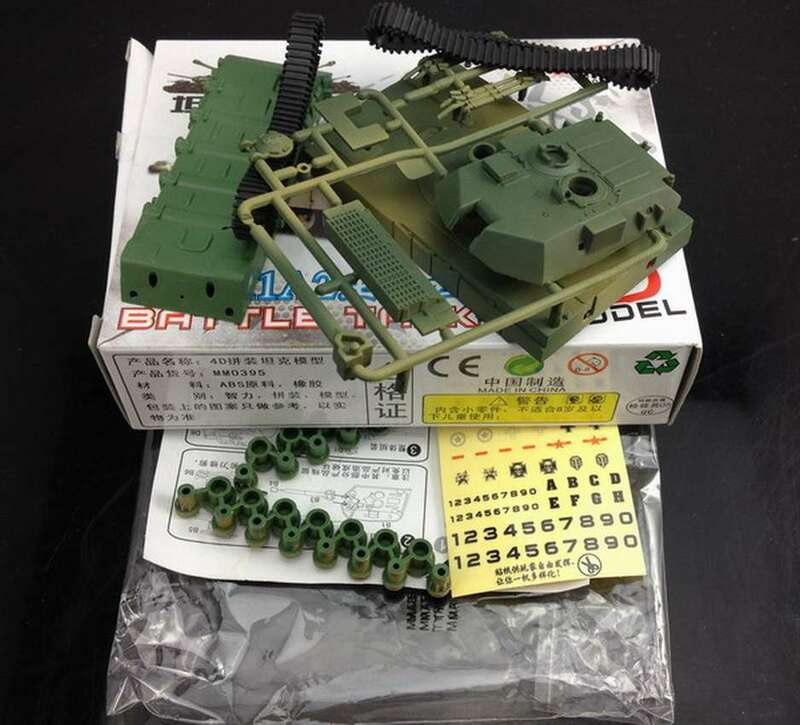 - The models are not for modellers. 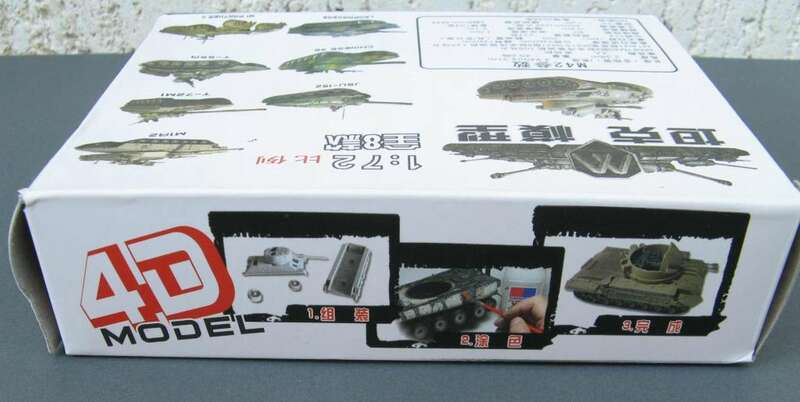 - Firt of all, the picture on the box does not depict the model inside at all. 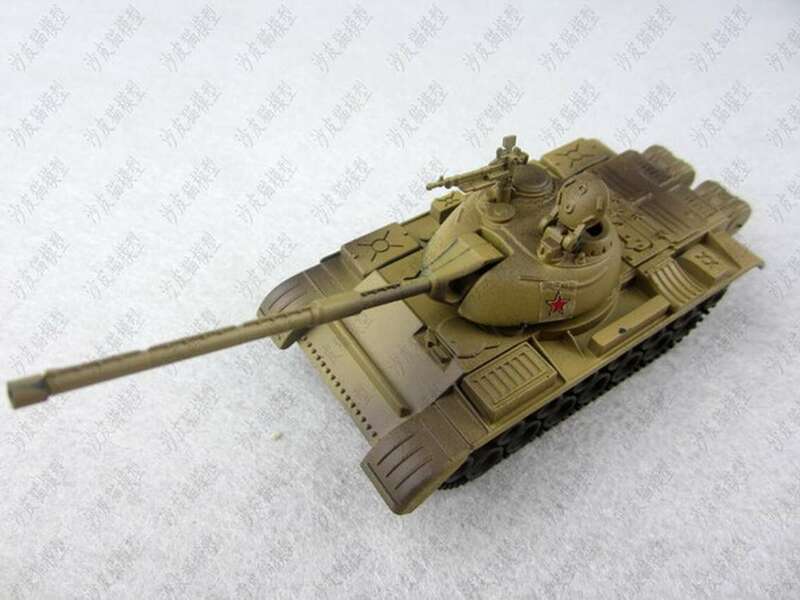 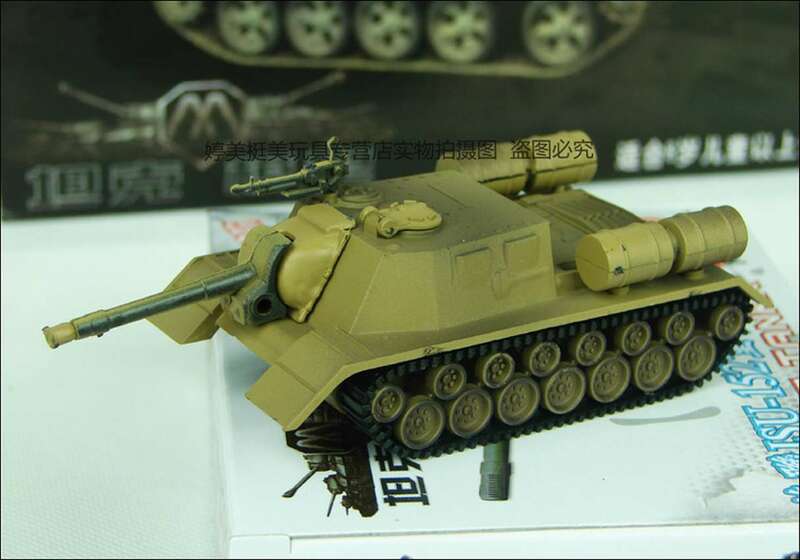 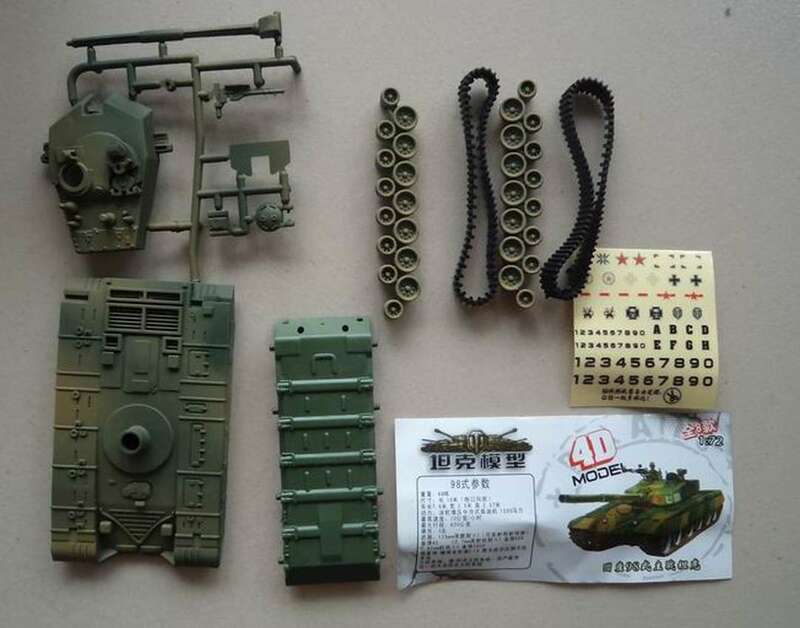 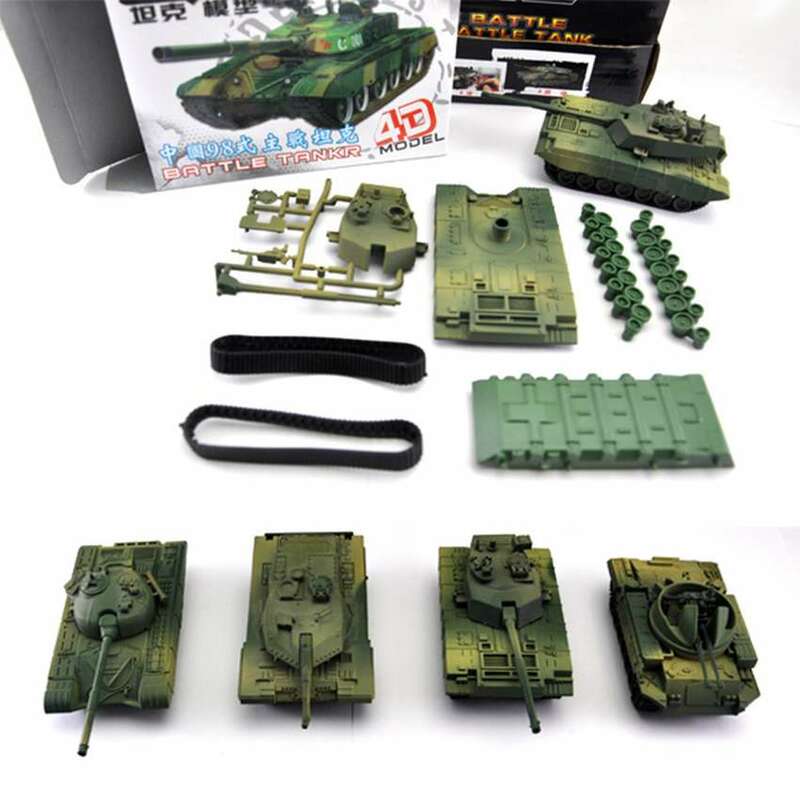 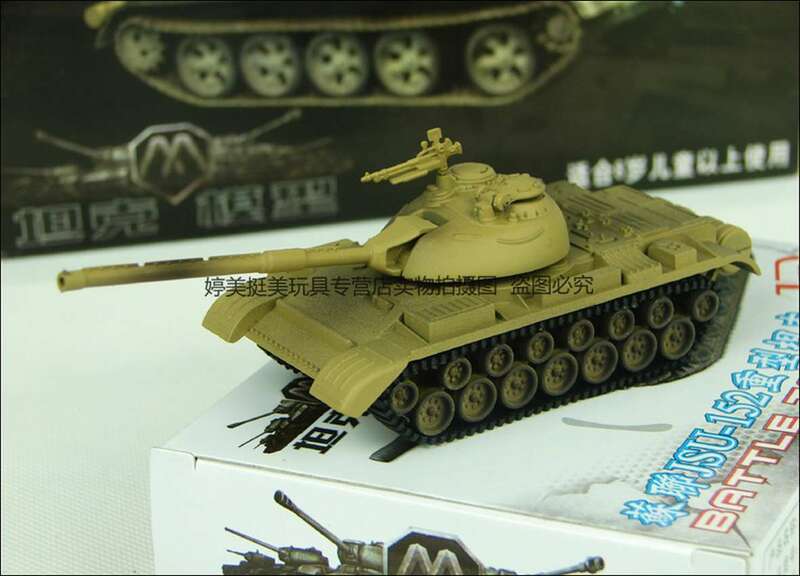 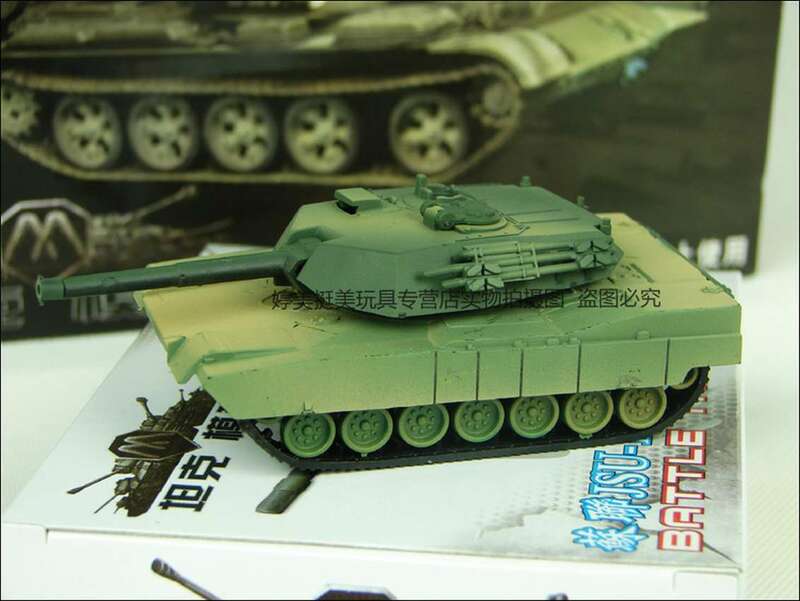 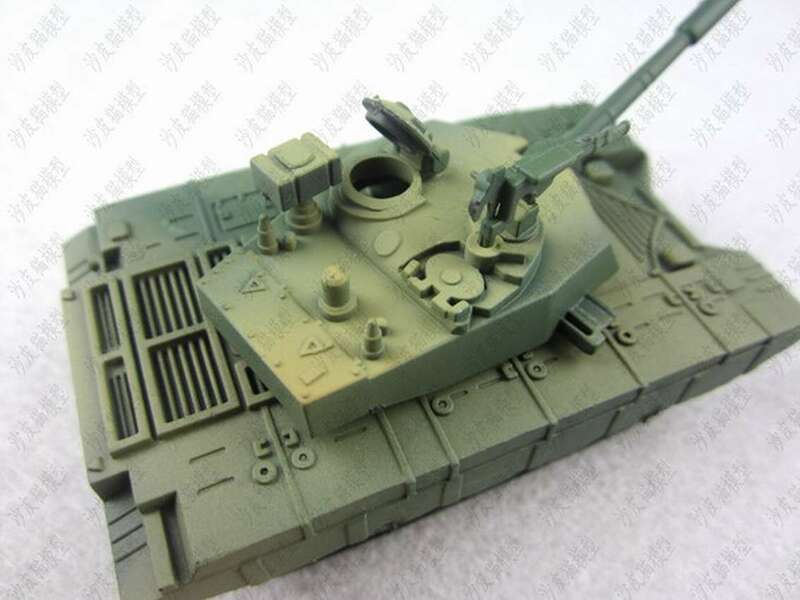 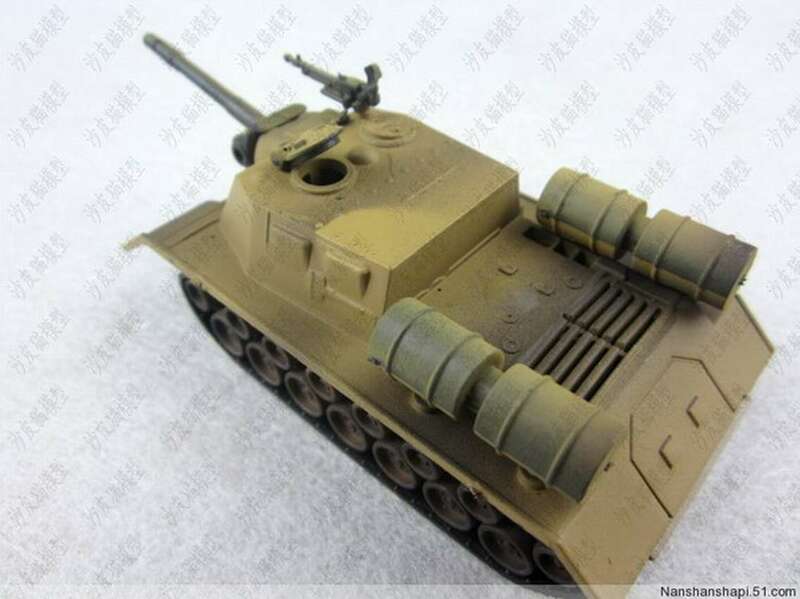 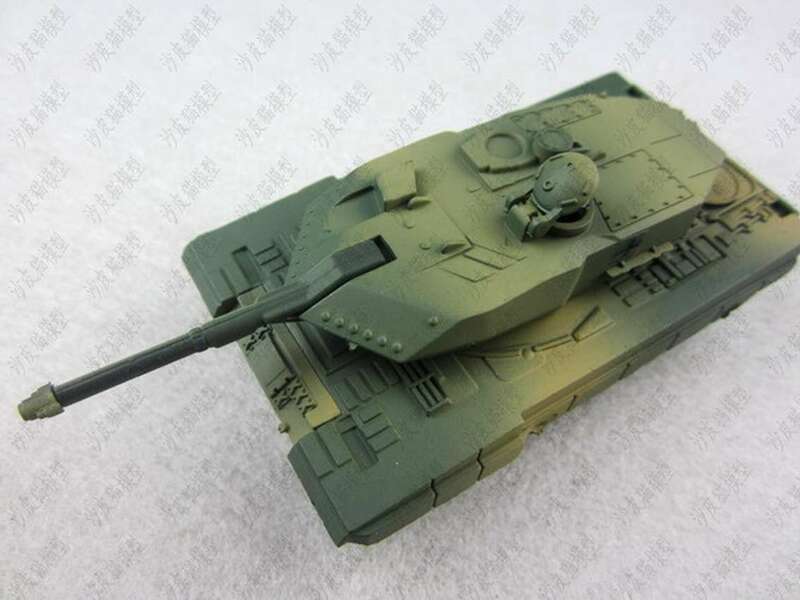 It has absolutely nothing to do with the model you get - it seems they have photographed a 1/35 model for the boxart. 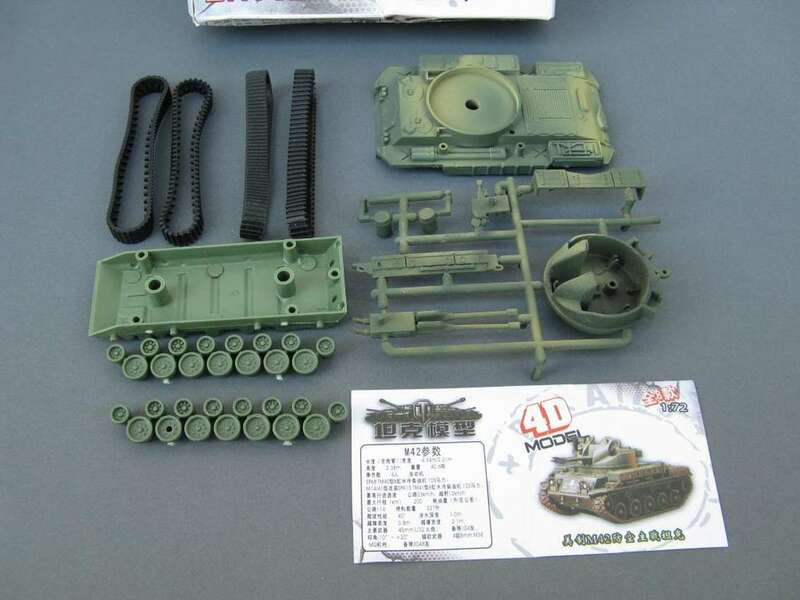 - Alltogether there are eleven parts for assembling plus two PVC tracks. 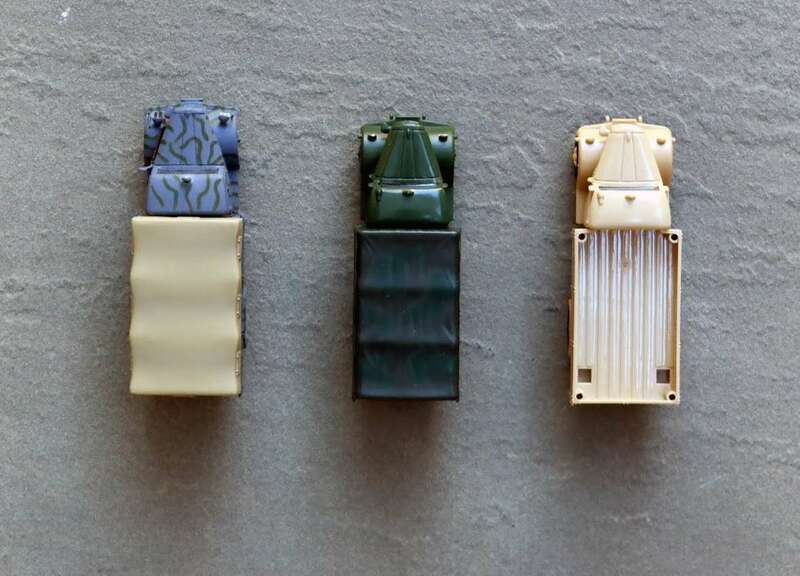 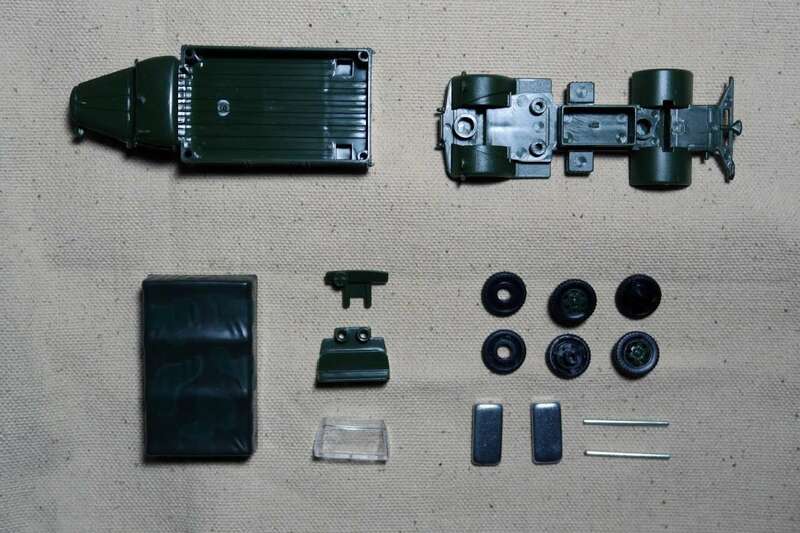 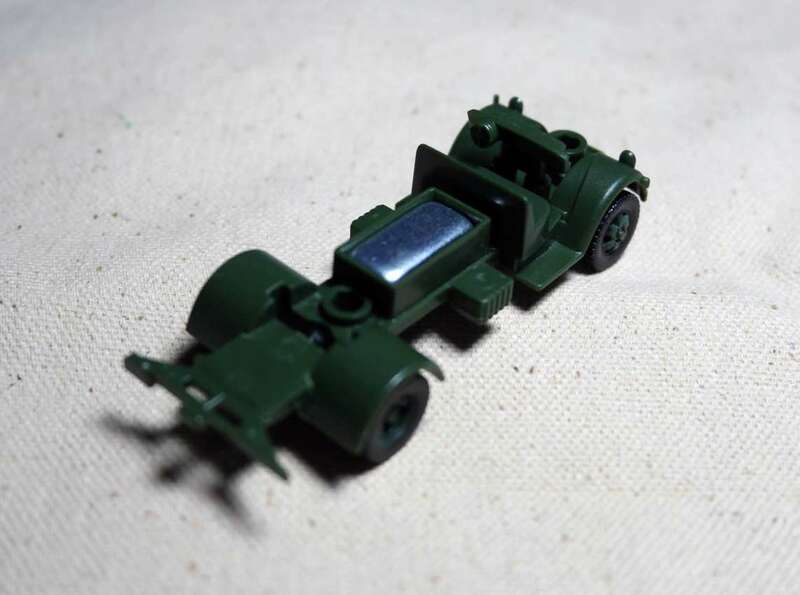 The parts are pre-painted with a simple brown over green overspray. 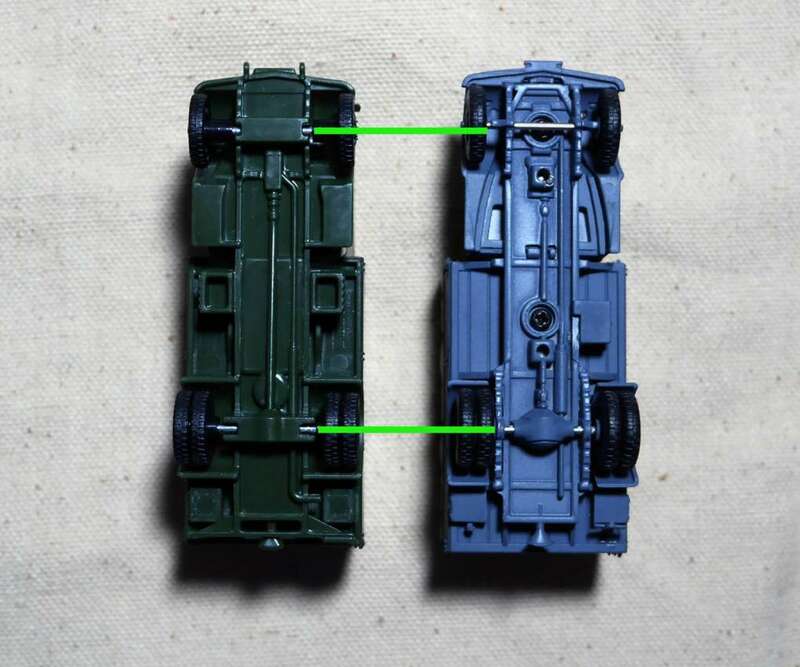 - The number of wheels are wrong - seven main wheels (instead of 5) and 6 return rollers (instead of 3). 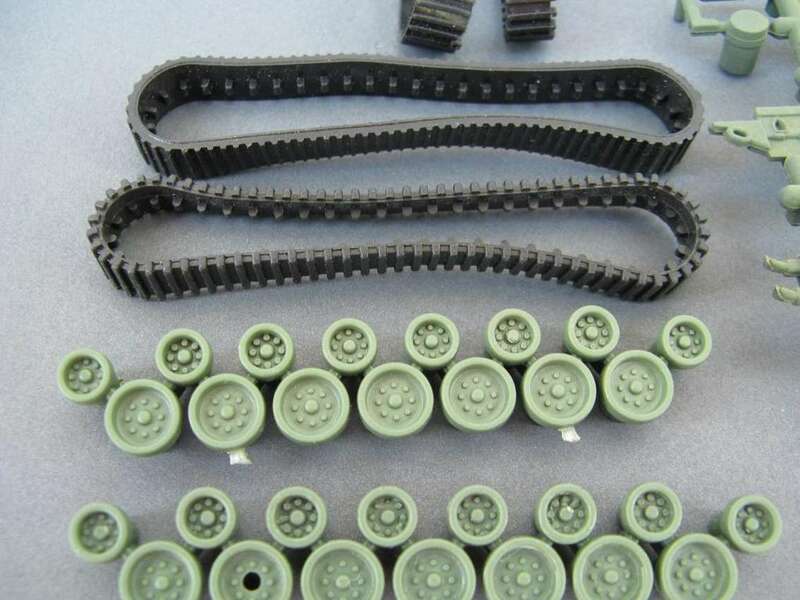 - Black PVC tracks are available, none rapresenting the real tracks. 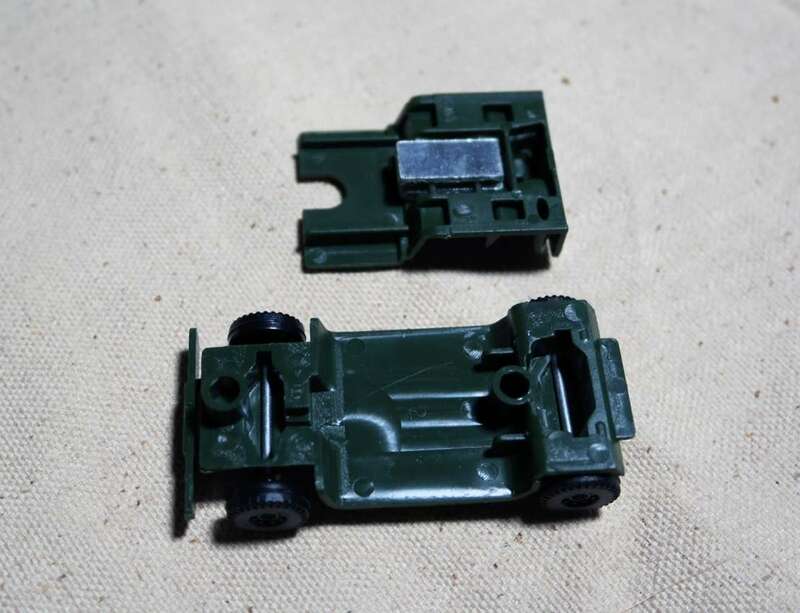 In two different box I got two different kind of tracks. 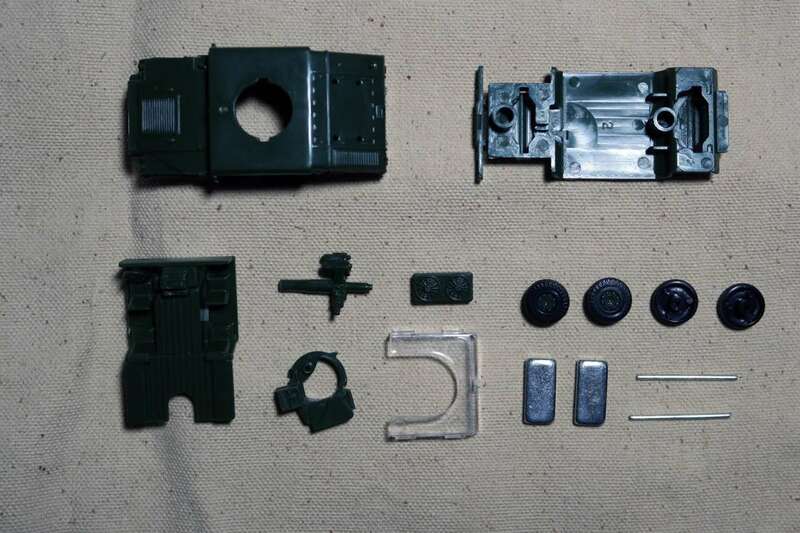 - The details are oversimplified and crude. 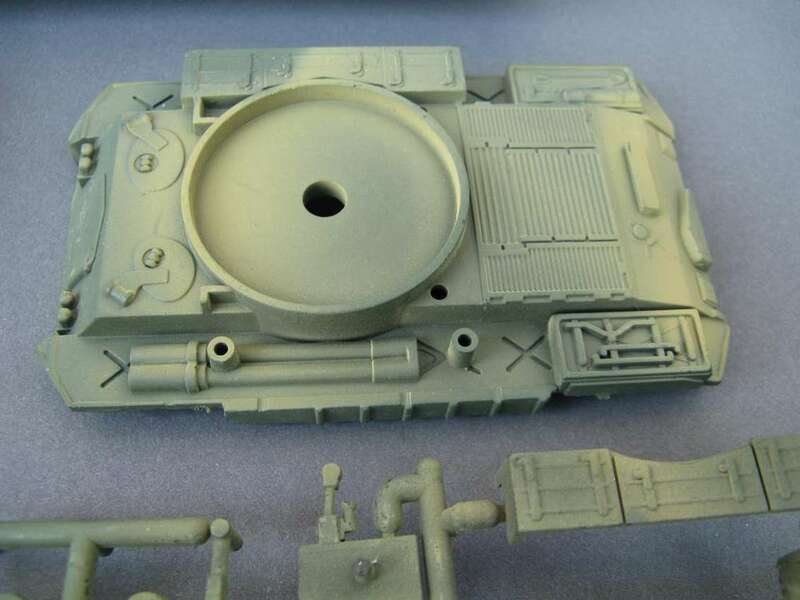 - The model can be assembled without glue. 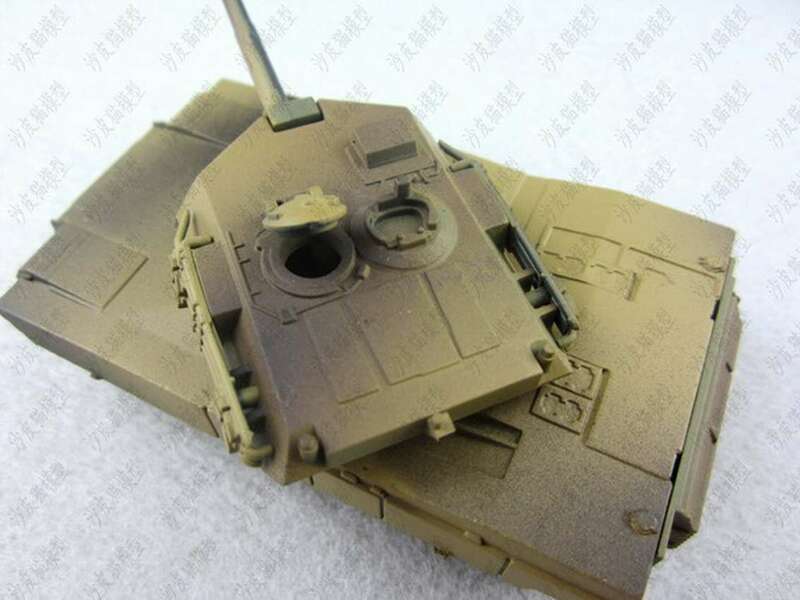 - The completed and finished model barely reasembles the M42 Duster.